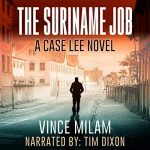 Looking for someone to narrate your audiobook? Perhaps a warm, friendly delivery style? Or are you looking for someone who can do a wide variety of character voices and accents? 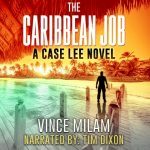 Have a listen to some of my samples, or check out a selection of books I've narrated that are currently available. I also have audio production capability, which means you're getting a narrator and producer in one, taking your book from page to finished professional audio, ready for sale on sites like Audible, Amazon and iTunes. If you're new to the audiobook process, I can walk you through it. If you have questions or want to talk about your book, you can contact me or leave me a message on my profile page on ACX. To download any sample, right-click and select the "save file" option. Huna philosophy is about learning to become a conscious co-creator with the universe. 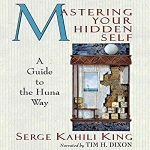 Hawaiian shaman Serge Kahili King uses Kahuna healing methods to help us access the hidden energy of life, develop powers of concentration, and make friends with the deepest aspect of our being. 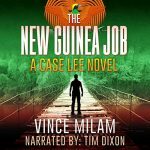 A mysterious client asks Case to investigate a massive New Guinea gold discovery, and the job quickly unravels into an incredible world of spies, terrorists, and tribal headhunters. Case, with a sense he's being played, walks away from the entire mess. Until life-threatening events pull him back in. This time, he's not taking any prisoners.